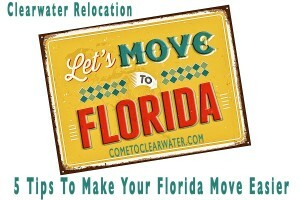 You found the perfect home in Clearwater, and now you are ready to start your Clearwater relocation journey. 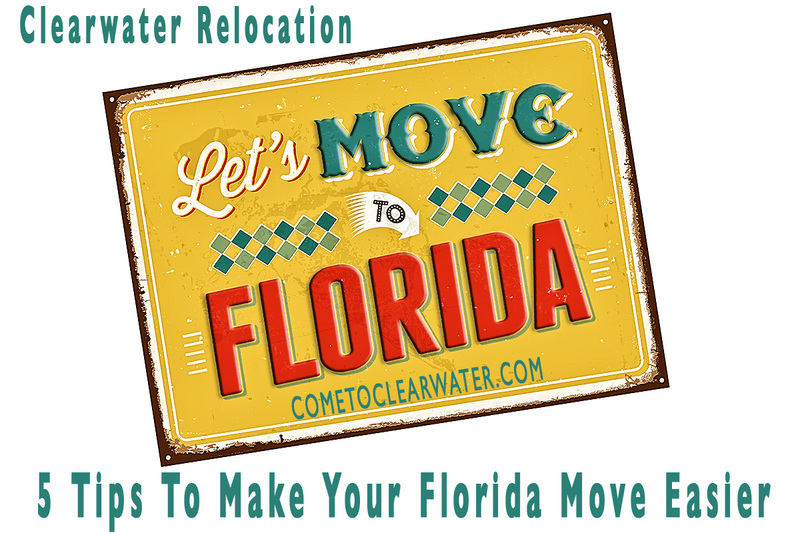 Here are some tips to make your Florida move easier. Packing and unpacking takes days. Planning your packing means you won’t be unpacking everything all at once, and making a huge mess to find items you need right away. Best idea? Pack a bag like you’re going away for a week, and a box with specific household items you need immediately. That would be things like toilet paper, a set of towels and sheets, personal care items, coffee maker and a few dishes and cups. Another good idea for those right away needs? Get a clear storage container so you can see what’s in it immediately. And remember, enough for each person in your home! Whether you use a moving company or pack and go yourself, all those boxes will look the same once they are all packed. Use a label-maker or thick black marker to write the name of the room that each box came from, and number them. That way you will know that there should be 10 boxes from the kitchen and know to keep looking if only 9 make it. Moving is expensive, so save some money and time by skipping things like bubble wrap. Use clothing and towels to do the same job, you have to pack it anyway, right? So breakables from your bedroom, use your clothing. Breakables from the bathroom? Use your towels. If you have something very valuable that needs the extra cushioning, splurge, but clothing and such works well and saves a bundle. Old newspapers work well for packing dishes and glasses. Save the hassle with wires for computers and TVs by taking a picture with your smartphone before unplugging. It will save you aggravation later when you try and put them back together. Moving doesn’t have to be horrible, planning a bit will save all kinds of frustrations.